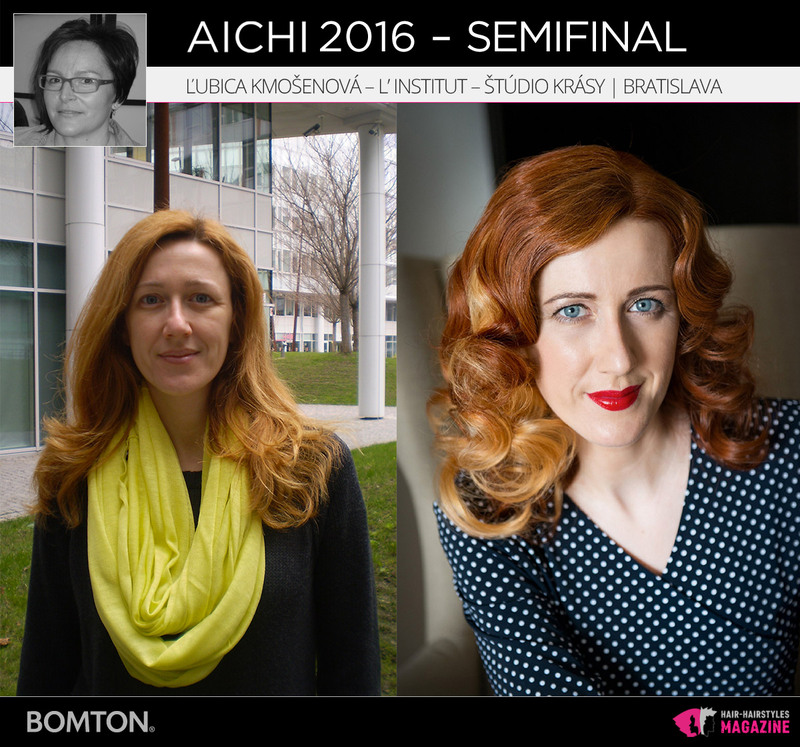 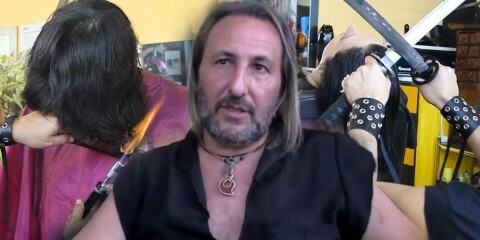 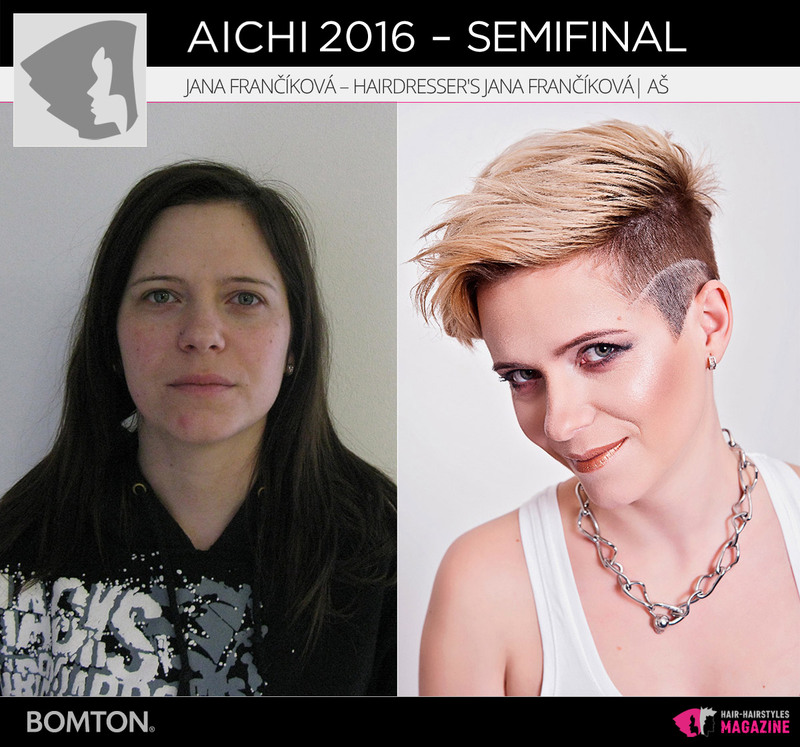 There are another hairdressers’ transformations AICHI 2016. 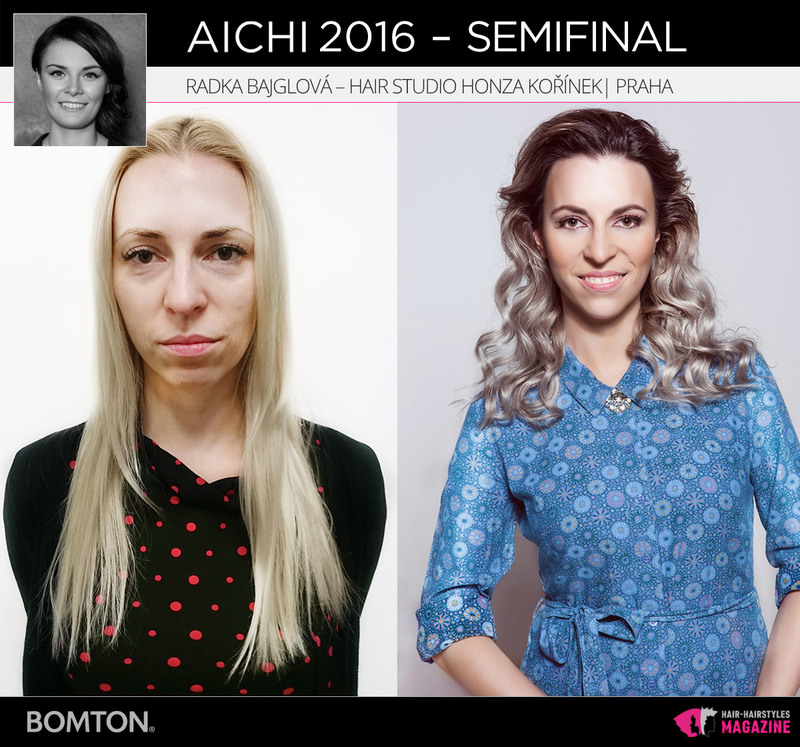 24 finalists came from selective round and we can see their transformations. 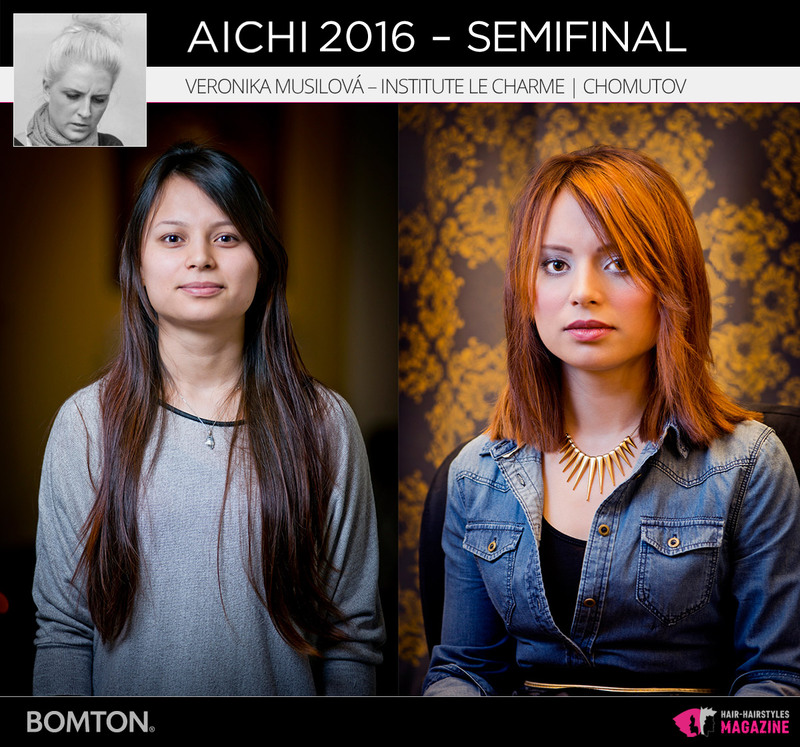 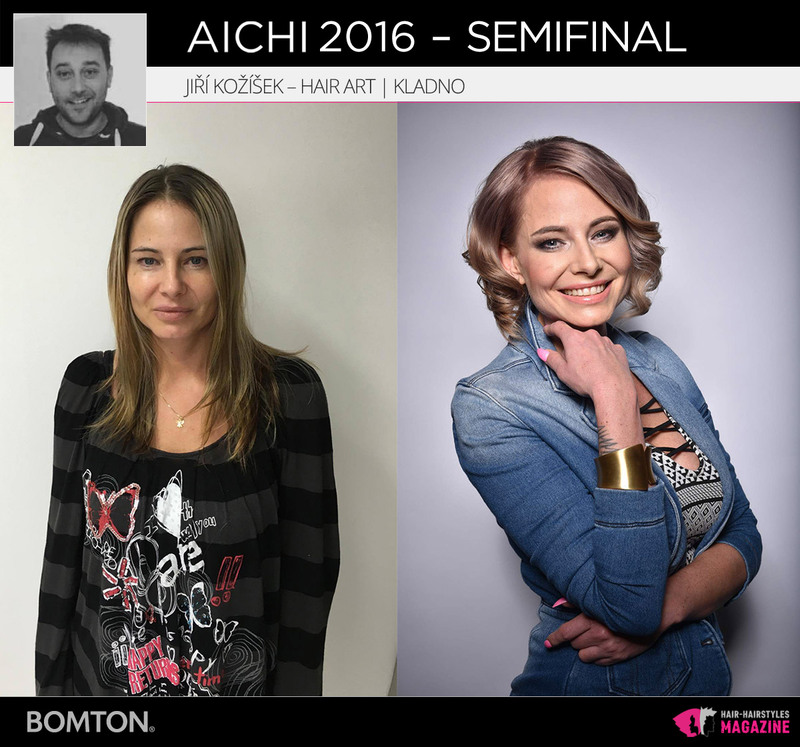 Following, the 14th year of the prestigious hairdressing competition AICHI 2016 presents those who advance to the next round of the competition. 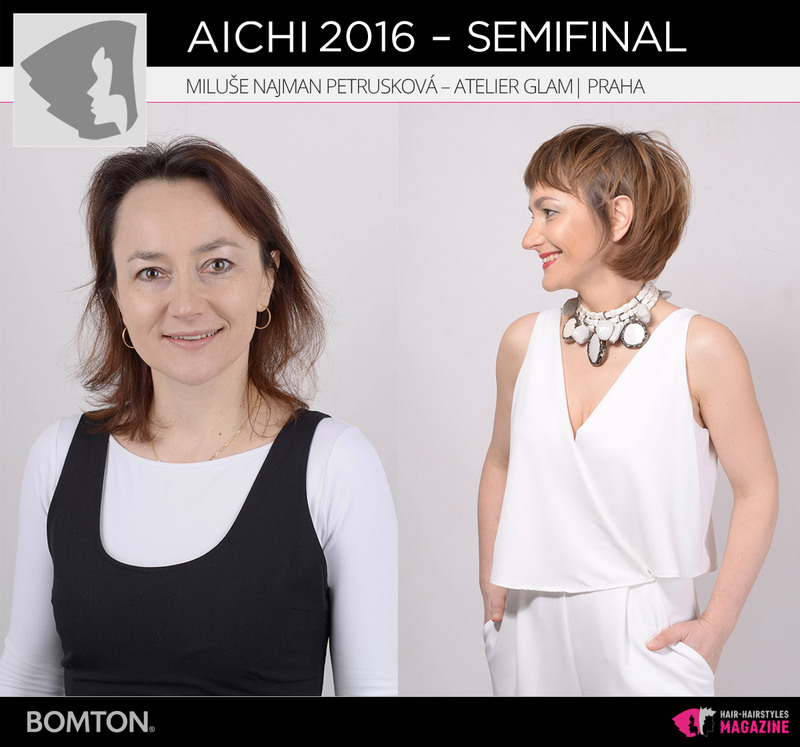 The jury selected 24 semifinalists from all the participants in the competition. 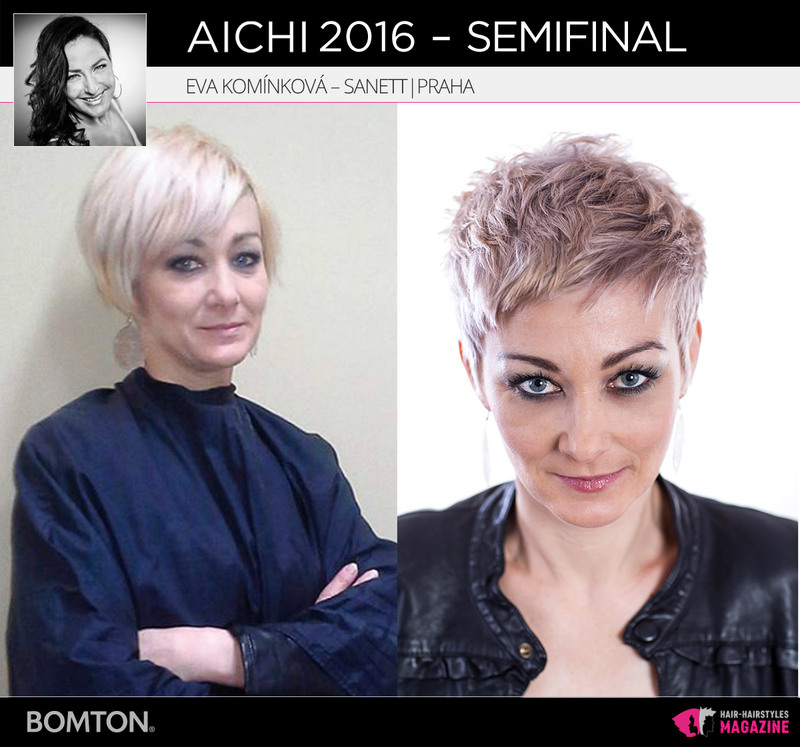 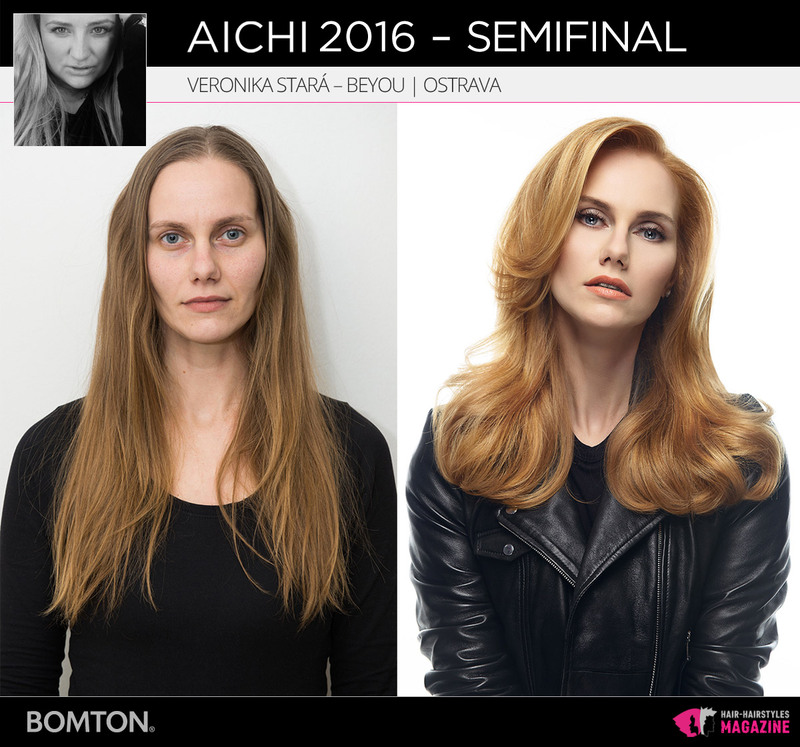 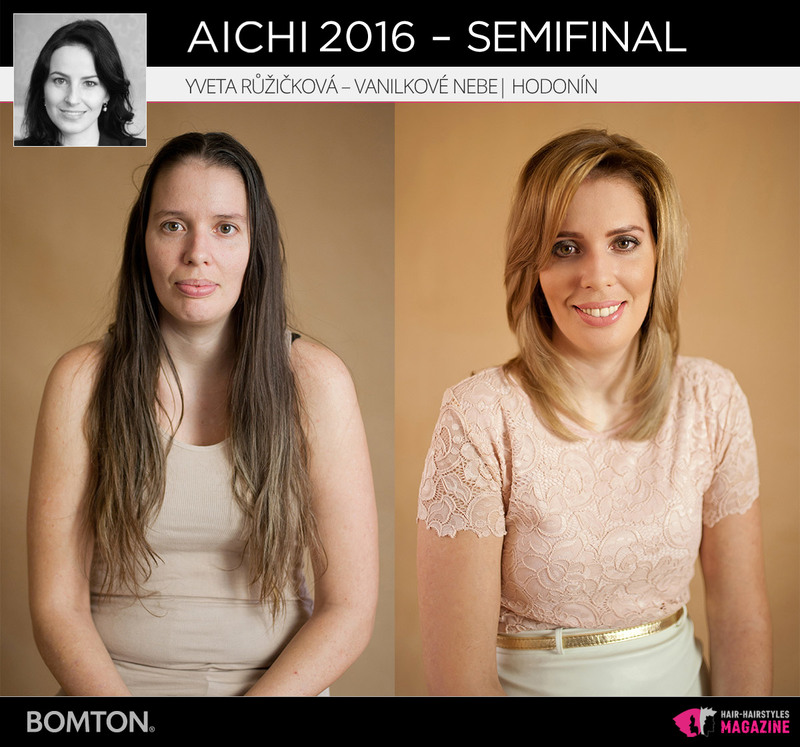 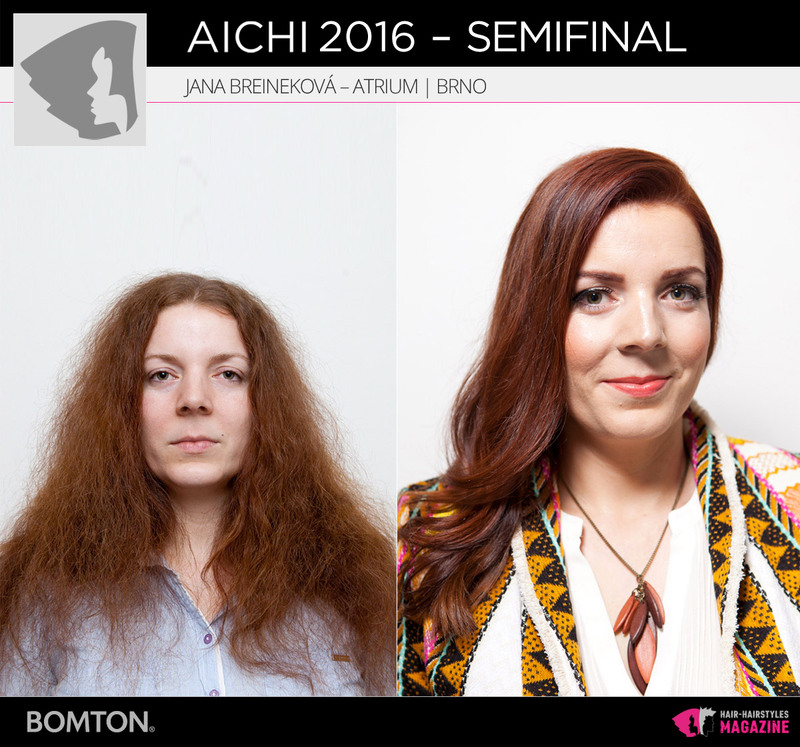 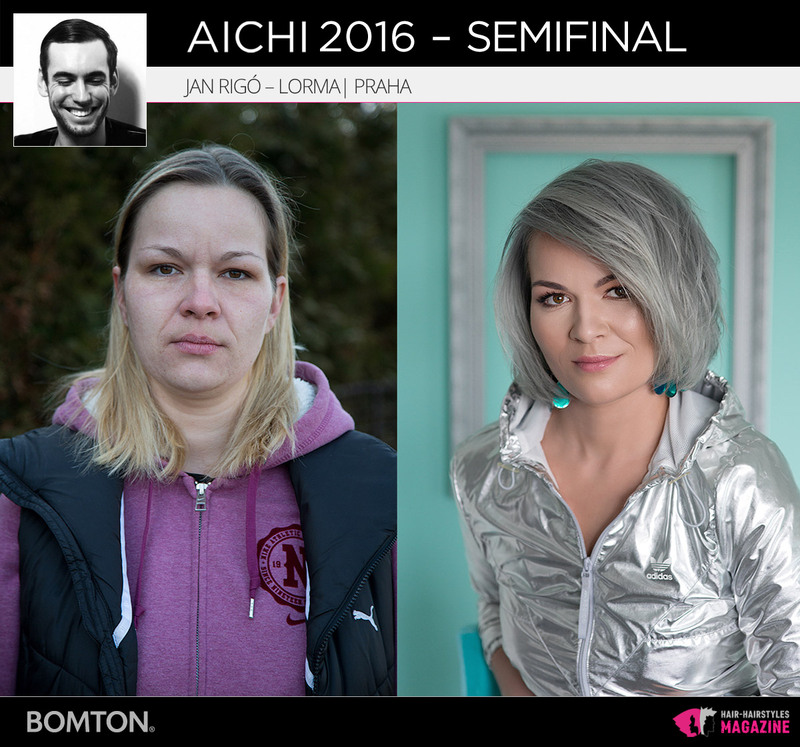 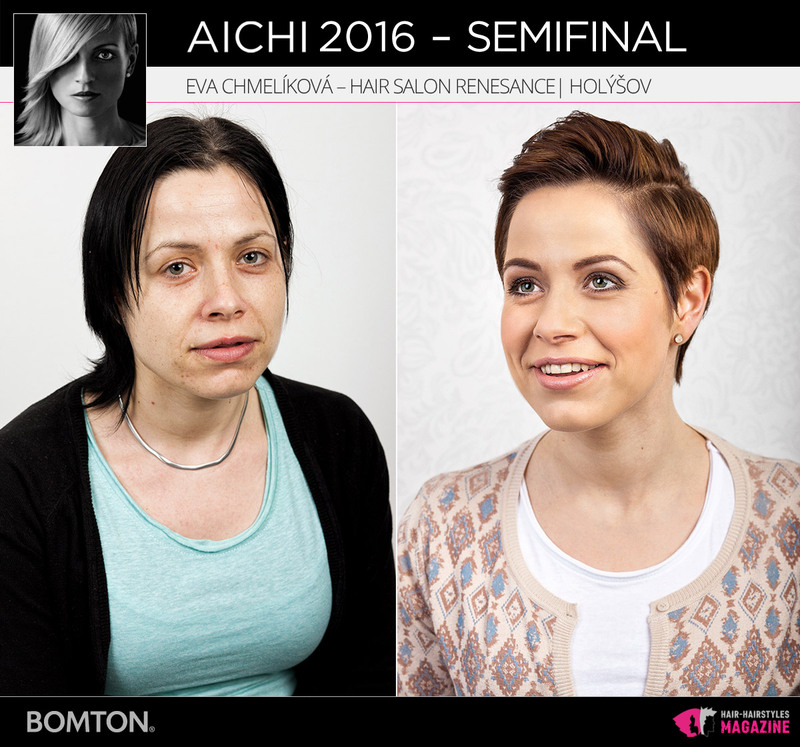 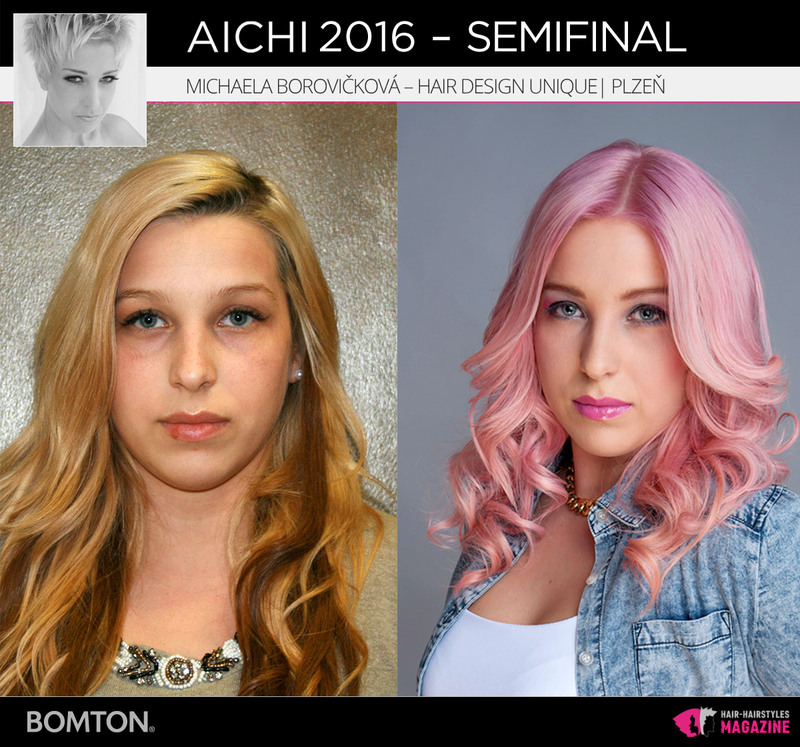 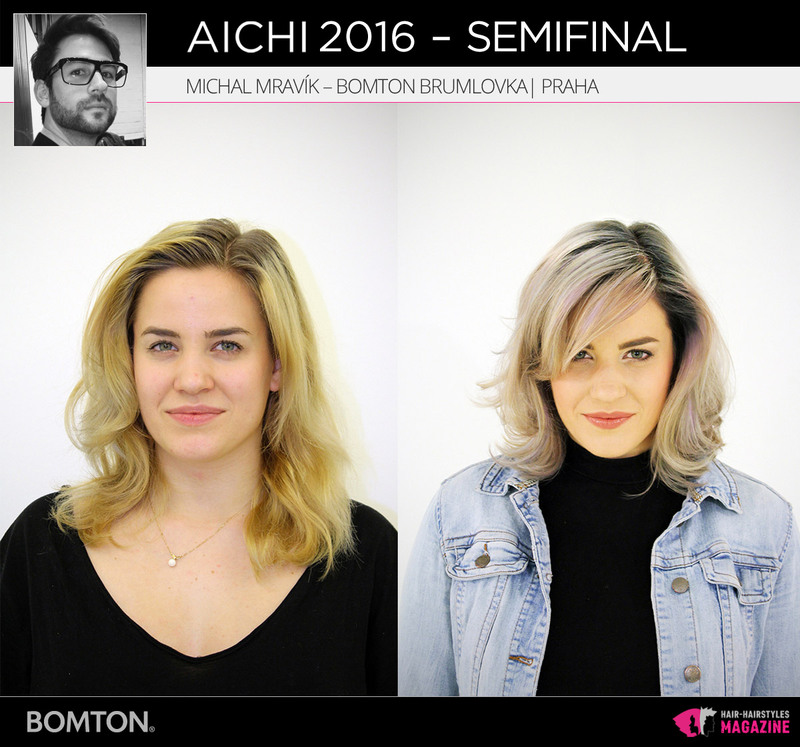 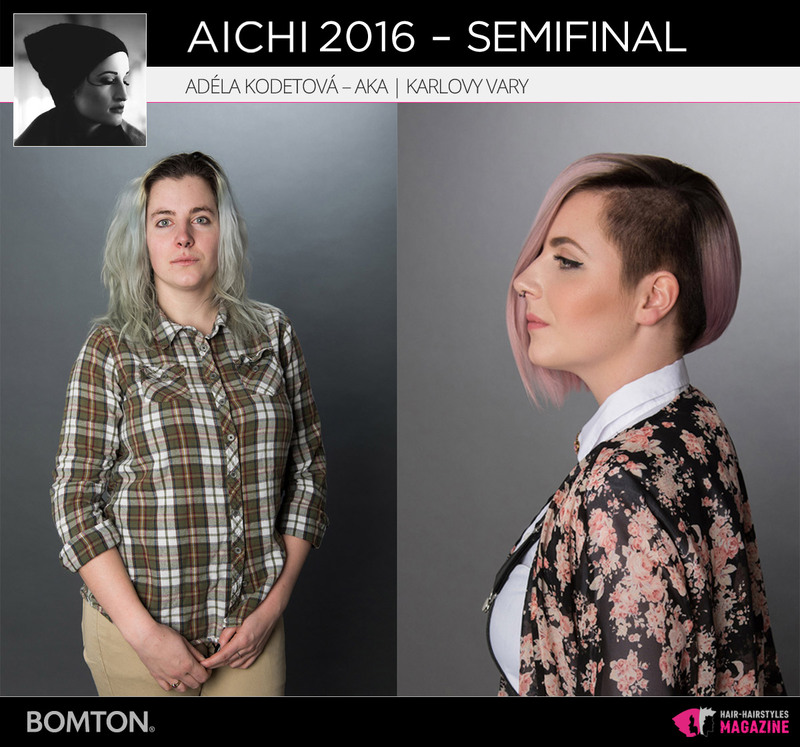 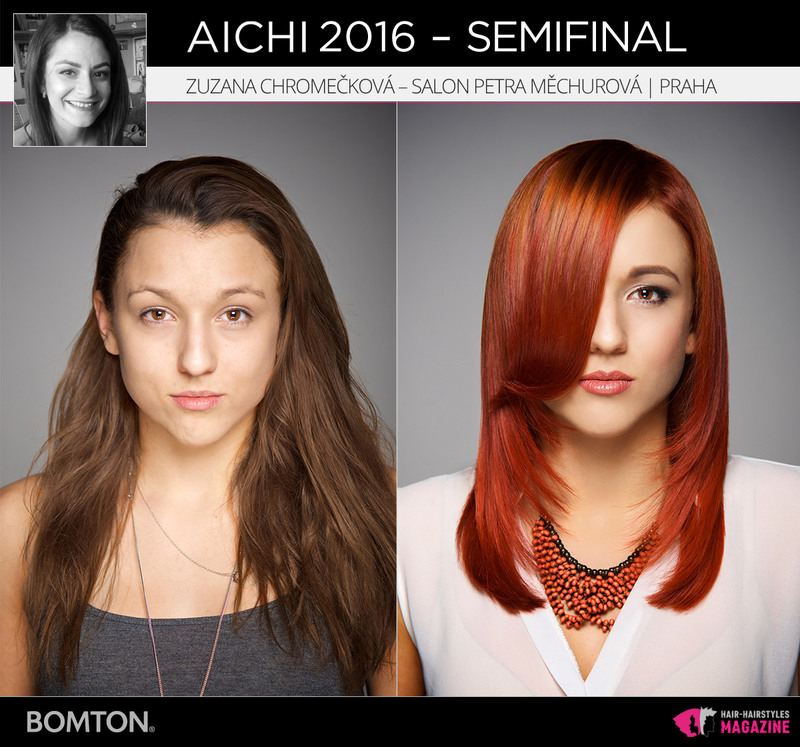 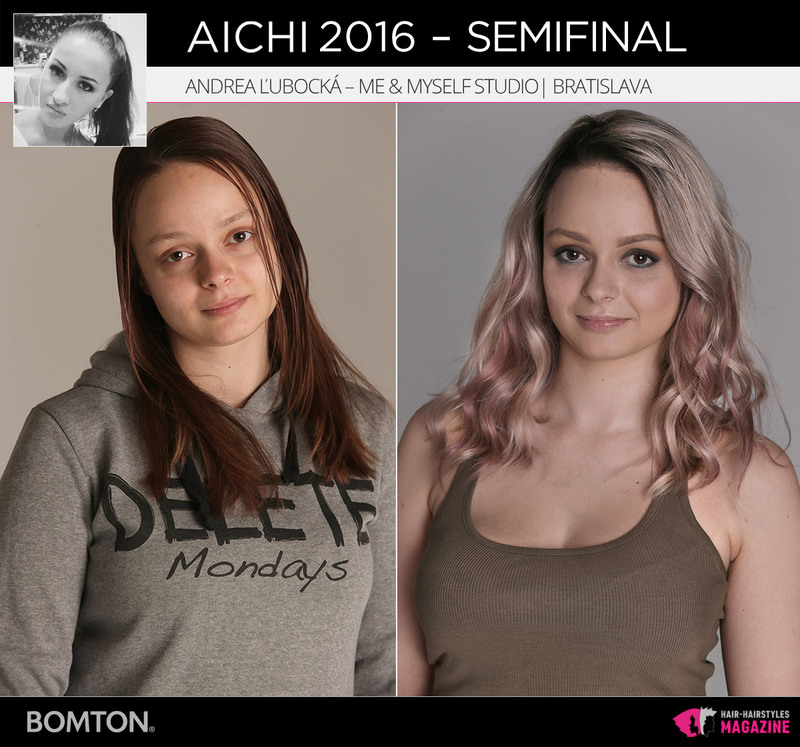 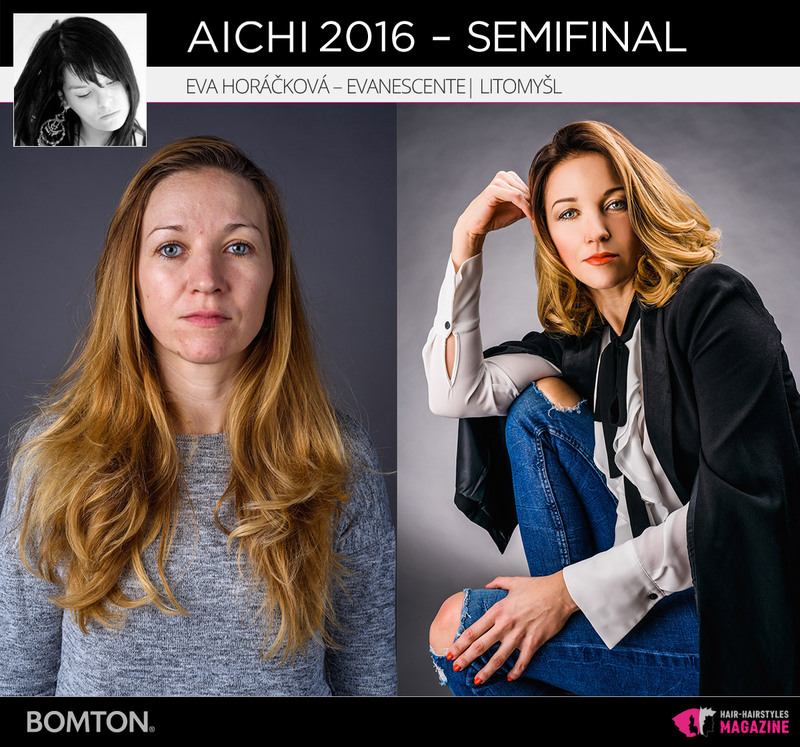 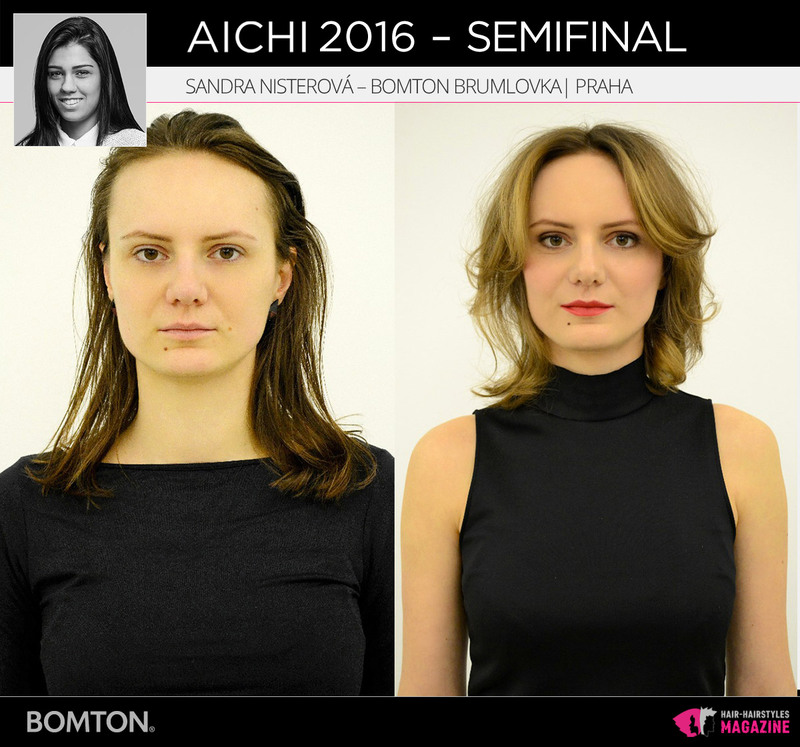 We can look at first the best transformation of AICHI 2016.This time, the selection was from hairstylist works that they prepared in their own salons with models. 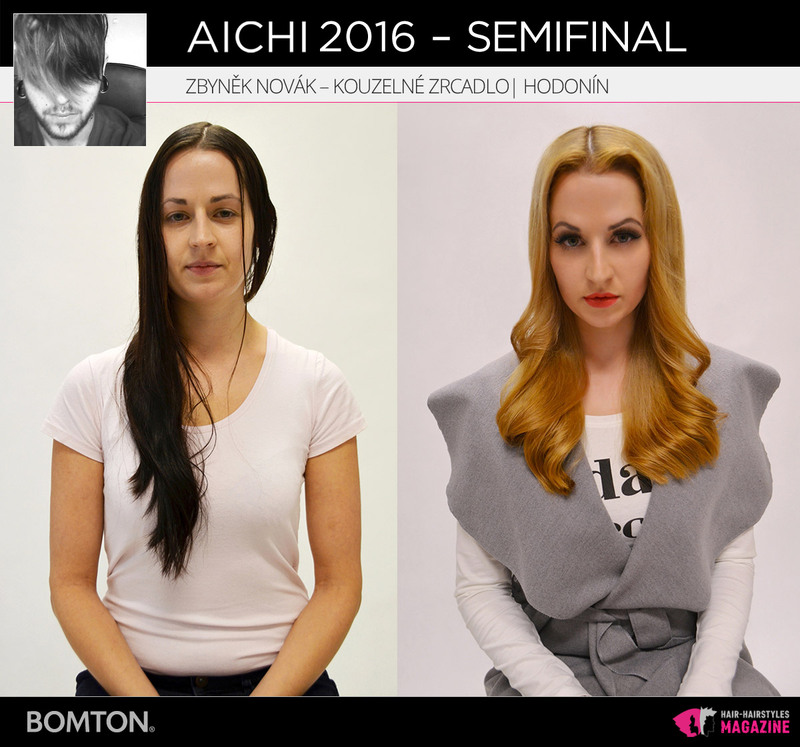 In the semifinals, everything will be different. 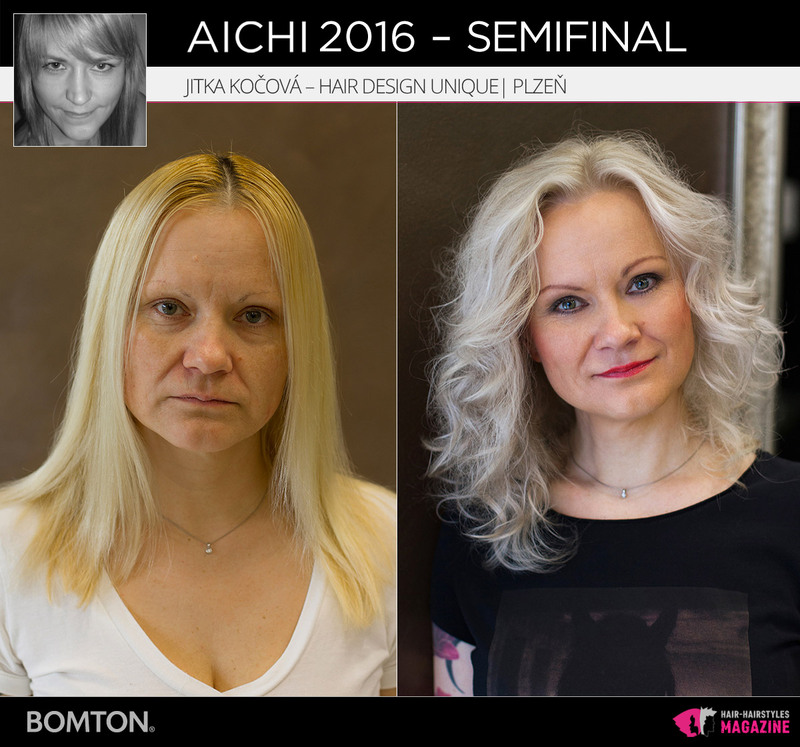 Transformation will be done to the drawn model. 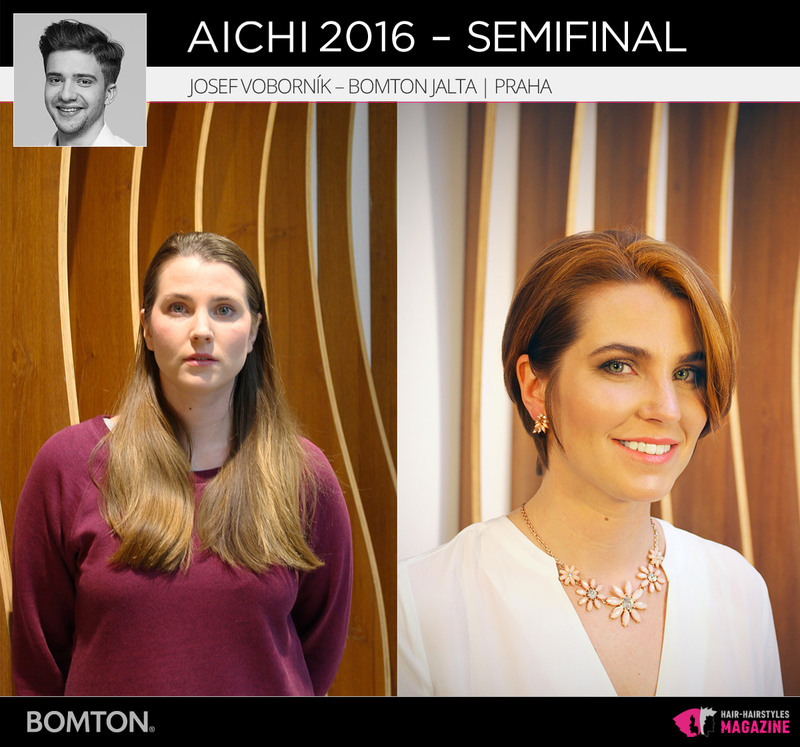 The semifinal Round waits for 24 of the best from this year’s opening round that we can already see on 7th and 8th of May 2016. 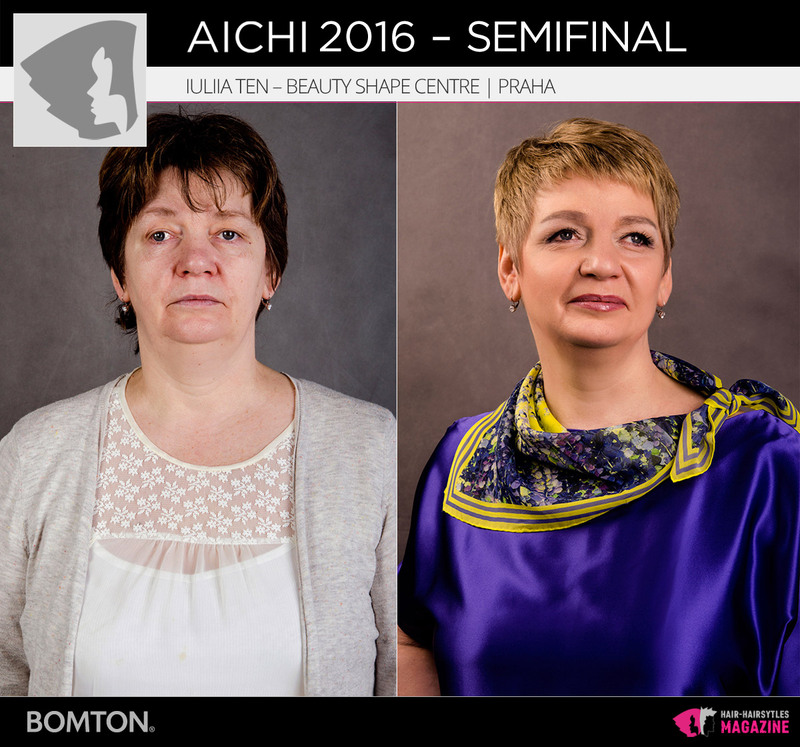 Everyone will meet at the training center Bomton Academy in Prague’s quarter Vinohrady and the task will be to create another transformation. 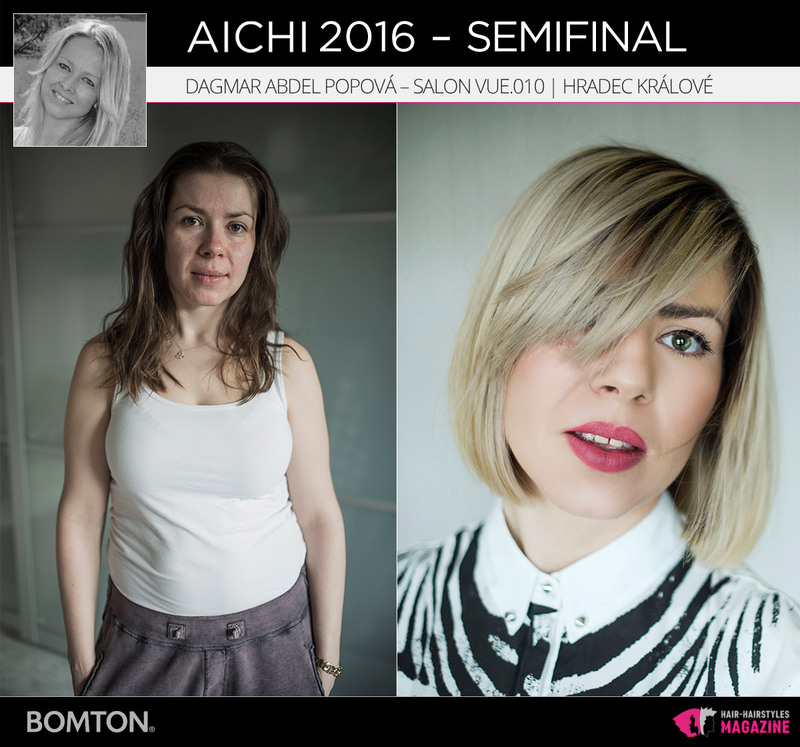 Bomton salons are the organizer of the contest.